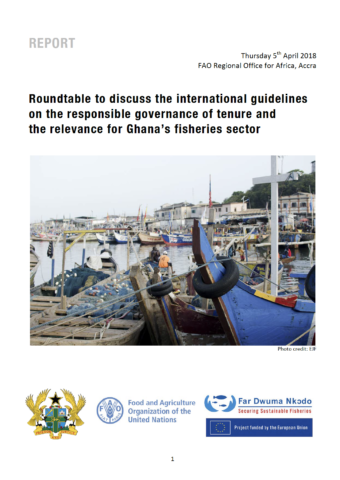 Joint Civil Society Statement concerning Ratification of the Work in Fishing Convention, 2007 (No. 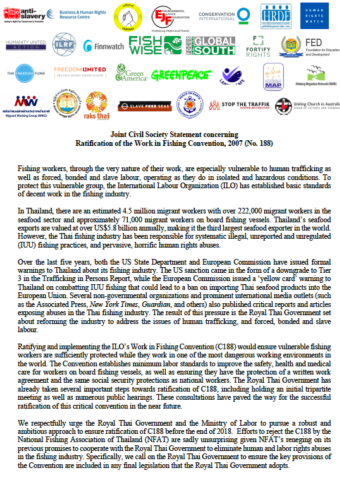 188): This statement was issued by 30 NGOs urging the Thai government to stand strong in eliminating human rights abuses in its fisheries. 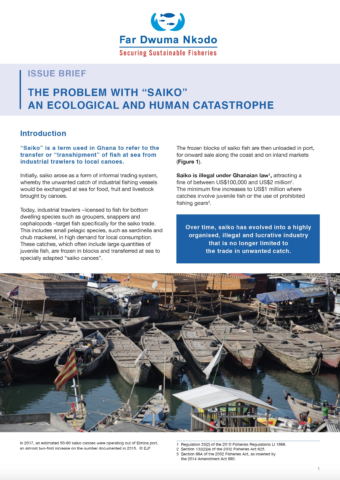 A statement issued by 30 NGOs calls on the Thai government to resist attempts by the National Fishing Association of Thailand to derail the ratification of the international Work in Fishing Convention, which protects fishers from human rights abuses. 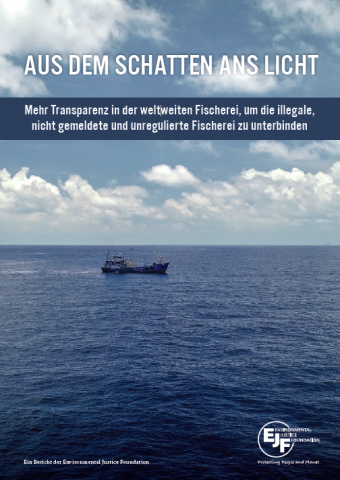 Aus dem Schatten ans Licht: Mehr Transparenz in der weltweiten Fischerei, um die illegale, nicht gemeldete und unregulierte Fischerei zu unterbinden: Dieser Bericht stellt die „Zehn Grundsätze für globale Transparenz im Fischereisektor“ vor. 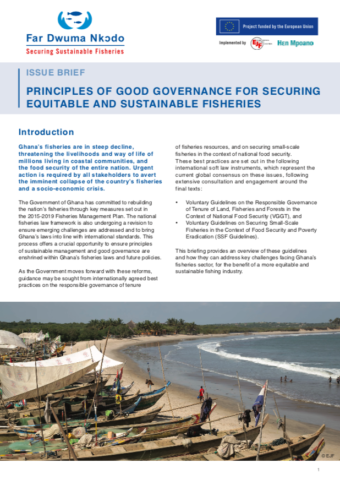 Diese einfachen und kosteneffektiven Maßnahmen – zu denen die Veröffentlichung von Fischereigenehmigungen und die Vergabe eindeutiger Schiffsnummern gehören – sind von jedem Land leicht umzusetzen und können eine zentrale Rolle im Kampf gegen illegale Fischerei und Menschenrechtsverletzungen in der Fischereiindustrie spielen. On the frontlines. 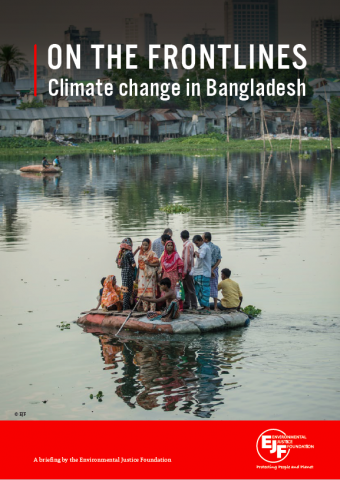 Climate change in Bangladesh: This report looks at the impacts of climate change on Bangladesh, and how it is forcing millions of people to flee their homes. 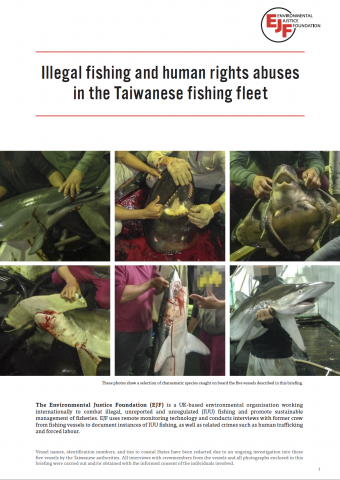 Illegal fishing and human rights abuses in the Taiwanese fishing fleet: This briefing details the EJF investigation which uncovered shockingly cruel and illegal practices on Taiwan-linked fishing vessels, including harpooning dolphins, finning and discarding tens of thousands of sharks, and catching vulnerable species of sea turtles and hammerheads. 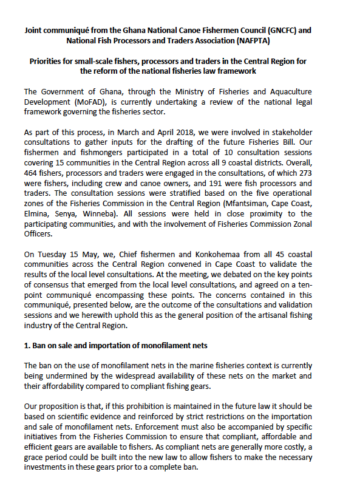 Nor were the vessels free of the human rights abuses previous EJF investigations have revealed in the fleet.